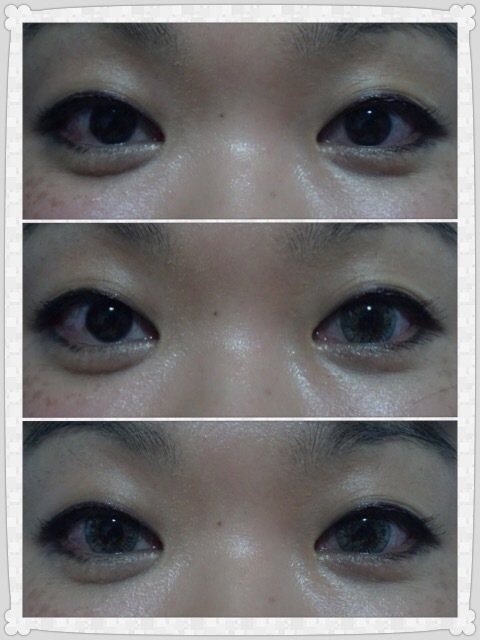 It took me soooo long to finally decided to buy contact lens online!! 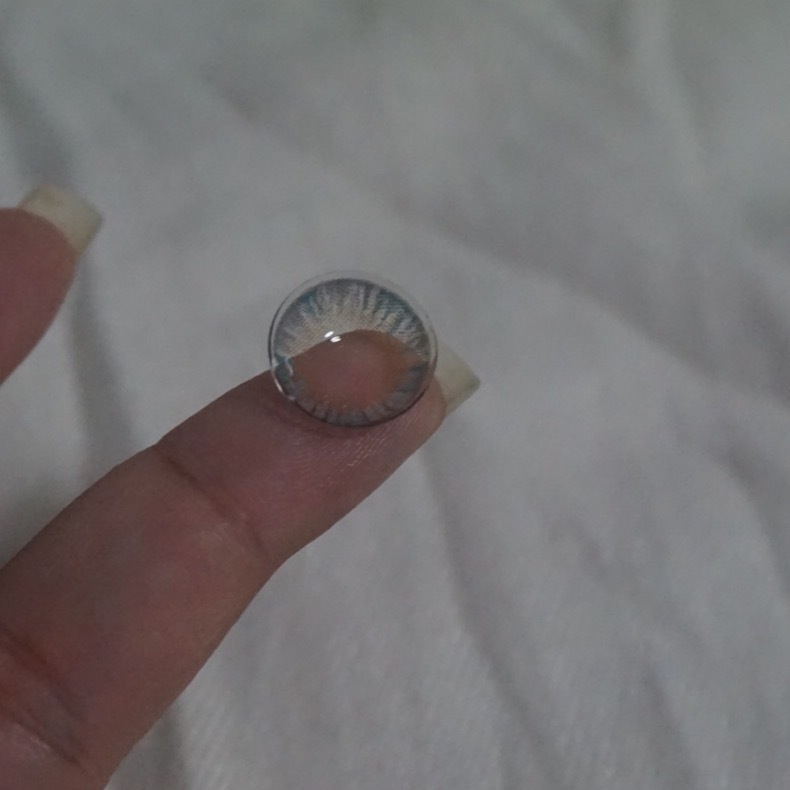 There are so many HORROR story out there about buying lens online and how you can get blind!! Like the one HERE & HERE?? 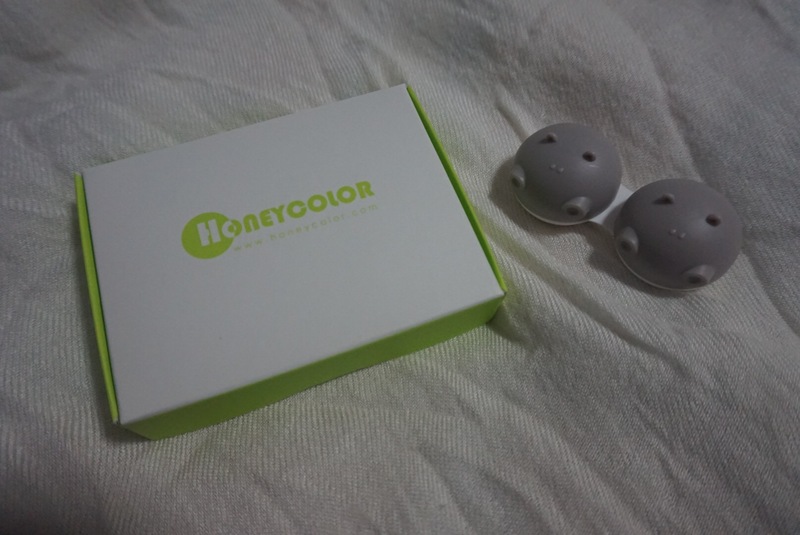 These are not the worst but enough to bring awareness..
With that, I shall show you my first purchase from Honeycolor.com.. This is a pretty reliable online seller. I know many people buy from this site and have positive experience.. 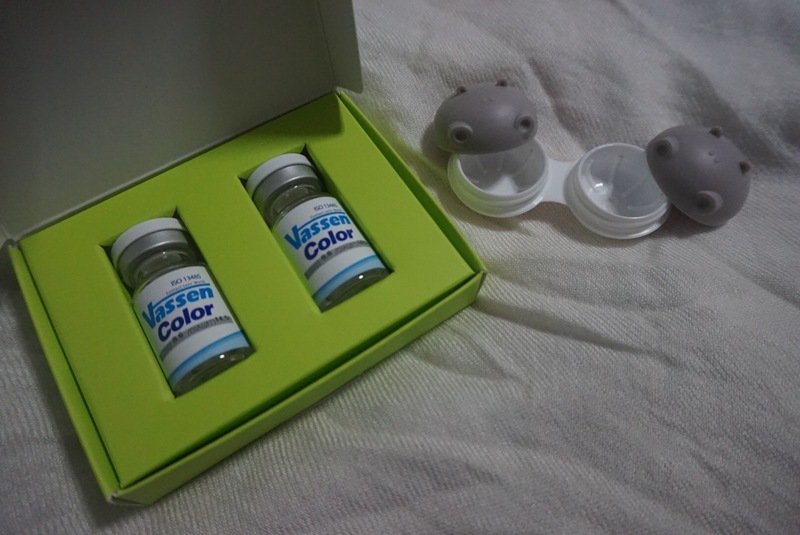 I bought Vassen’s Rainbow Eyes Gray! Why this attracted me is… *drumroll* THE LOW PRICE of course!!! It’s a yearly lenses for S$16.49, WHY NOT!? Of course, shipping fee is another killer that’s why I chose my first “online” pair from the SALE list..
Total paid including shipping is S$26.93.. 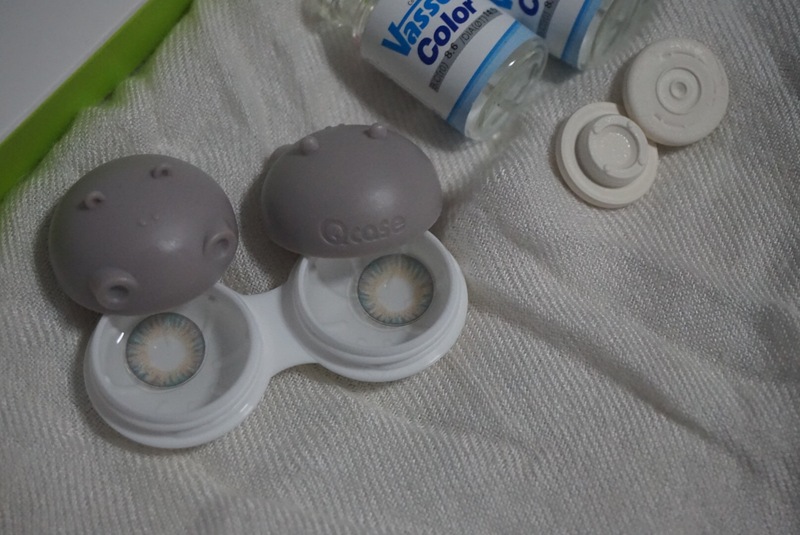 Item came in good condition and came with FREE contact lens case!! 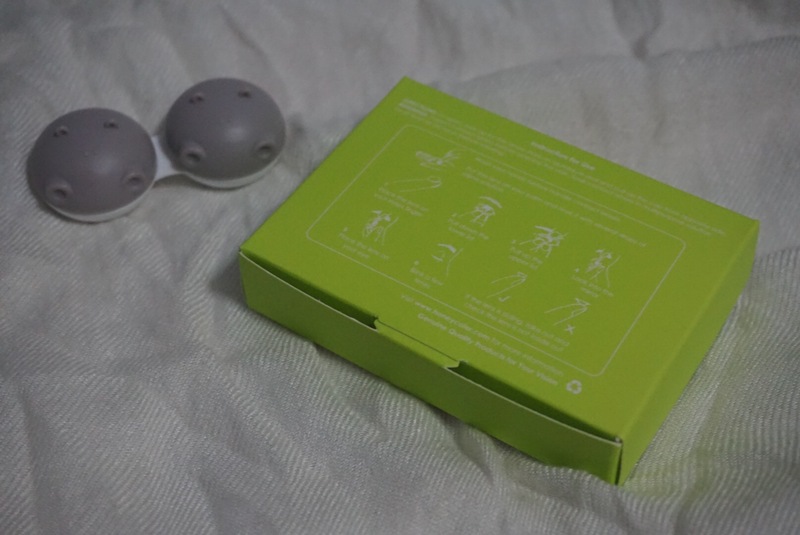 The back of the box has got instruction on how to open the lenses bottle if you’re clueless… But (aiyo) it’s so easy, who needs it man!? 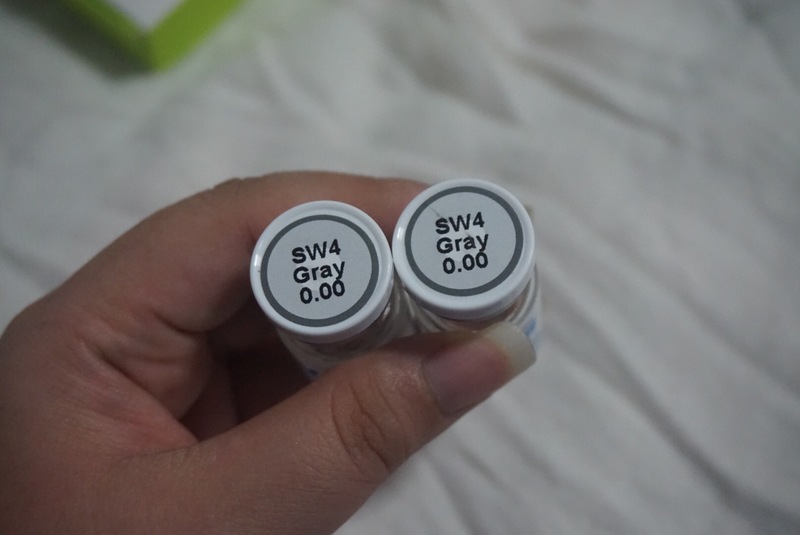 So here’s my lenses.. It look pretty faded as compare to the image online but.. So here’s the look of it (with comparison) when I put on.. I feeel that I look fairer leh! Am I or just my illusion?? LOL.. 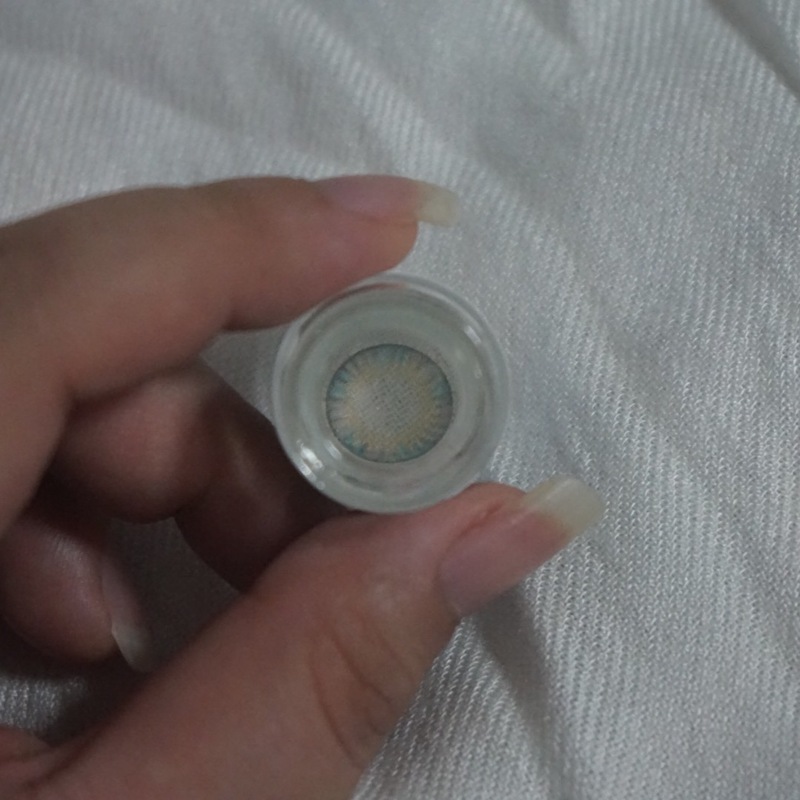 It had enlarged my pupil but i think because it doesn’t have the black rim, the effect is less obvious.. I like the dreamy look when wearing it and I can hardly feel the lenses too! Totally comfortable! 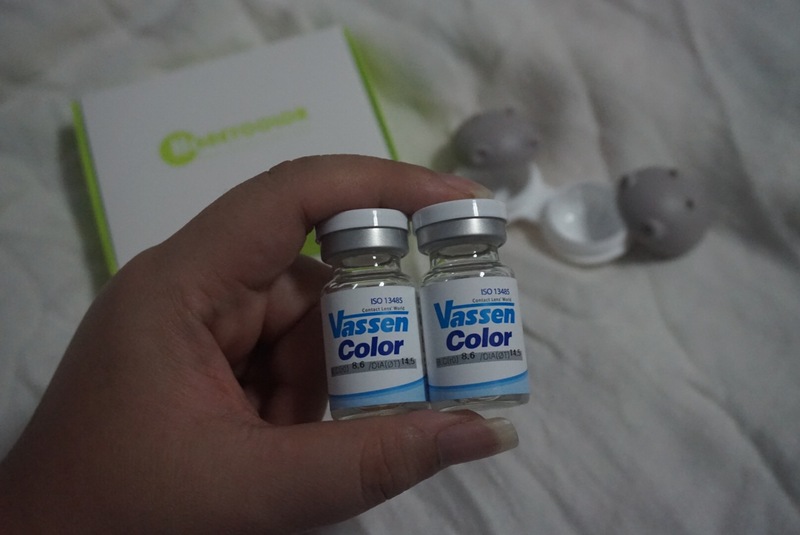 So far I’ve only tried Freshkon & Vassen.. IMO, I think Vassen is more comfortable and because it has a bigger diameter, taking it out is so much easier!! If you like it too, do check out their website!.. This entry was posted in .Cosmetics/Makeup, .eCommerce and tagged Circle lense, Contact lense, Decorative lenses, Honeycolor by Tempted to Love. Bookmark the permalink.